I work with people who want to be great. Frequent Delivery: Ship marketable features in two weeks or better. Low Defect Rate: Release fewer than five defects per team each month. Shrinking Costs: Steadily decrease development and maintenance costs. Market Focus: Deliver value and engage customers. Innovation: Conduct experiments and make calculated business bets. Joy: Happy developers, happy stakeholders. Greatness doesn’t require great talent. Talent doesn’t hurt, by any means, but I’ve helped ordinary people work together to create great teams. No, it’s not talent that’s needed. What’s needed is will. To be great, you have to be willing to change your environment and established ways of working to maximize productivity, throughput, and value. If that’s you—particularly if you’re in a product-focused, entrepreneurial environment—I want to hear from you. We can do great things together. I provide hands-on consulting, coaching, and training for agile businesses. I have the technical skills to work directly with your software developers and the experience to help you solve your knottiest organizational and process problems. Large-Scale Agile. Resolve cross-team performance bottlenecks and streamline communication. Immersive Team Coaching. Turn your development teams into agile powerhouses. Innovation and Entrepreneurship. Maximize your ability to experiment, generate ideas, and pursue opportunities. Agile Diagnostic. Evaluate your teams’ development approach and learn where you can make the biggest difference. Real-World Engineering Training. Refine your developers’ agile engineering skills with training focused on your actual production codebase. Keynotes and Conference Workshops. Add star power to your corporate event with a keynote presentation or workshop. My work is always customized to perfectly fit your needs. Contact me for a free consultation. 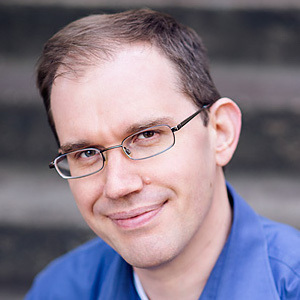 James Shore is a thought leader in the agile software development community. He combines technical expertise with deep agile experience to help development teams achieve high throughput, market focus, productivity, and quality. His work helps teams generate opportunities, reduce risk, and decrease costs. James led his first Agile team in 1999 and conducted his first Agile transformation in 2000. He is a recipient of the Agile Alliance’s 2005 Gordon Pask Award for Contributions to Agile Practice and is co-author of The Art of Agile Development (O’Reilly, 2007). He co-created the Agile Fluency™ Model with Diana Larsen and has been named one of the “most influential people in Agile” by InfoQ.